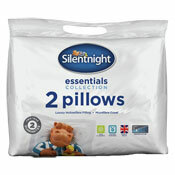 Stocking a wide range of Wholesale Silentnight Bedding. There is a collection of luxury Wholesale Pillows available at low trade prices. Along with a super collection of Silentnight Duvet sets which come in a range of different sizes and togs. Ensuring you can offer your customers a full range to choose from.